2011, you’re my boo. You’ve been REALLY great to me so far. Let’s keep it up, eh? And maybe even throw a few more things my way? Whales and Souls had it’s reading at Incubator Arts Project with the terraNOVA Collective’s Groundbreakers Reading Series, starring the amazing and wonderful Jackie Chung and directed by the super rad Tom Wojtunik. The rehearsal process prior to the public read was TOUGH and called for a lot of hard work/revisions/cutting/adding and I was very proud of the draft that emerged. More info to follow about what’s next for Whales and Souls. I may have some exciting news…mwahahahahaha. In other news, my play The Dog(run) Diaries is recieving both a staged reading at the Wordsmyth Theatre Company in Houston, TX in April and is also a semi-finalist in this year’s New Play Project with Pandora Productions out of Louisville, KY. Both theatres seem to be great companies so it’ll be exciting to share this play with new audiences, as well as to further revise the play a bit. I’m still not 100% happy with where it’s at, so woo! Exciting opportunities! *Apprentice is not spelled wrong, the “e” is simply cut off- damn coding! Congratulations! You have been chosen as one of the Playwrights’ Center’s Core Apprentices for 09-10. This means that you will receive a fully-funded 10-hour workshop at the Playwrights’ Center with a dramaturg, a director and actors. Your workshop will be scheduled around your availability, and will happen sometime between February and August 2010. We had more applicants this year than ever before, and an outside panel went through two rounds of readings before choosing the final group. In addition to your workshop, you will receive two pages of feedback on your script submission to help you begin rewriting before your workshop. I will send those pages to you next week. I will also be sending you a detailed information document next week, but I wanted to tell you the good news before the weekend. I’m thoroughly convinced that Mother Nature is pissed off at me for (finally) buying a car. Also, I don’t want to perpetuate the stereotype of BMV workers being disgruntled, vile human beings but my experience with all (three) that I’ve encounter this weekend would prove quite in step with said stereotypes. If I ever worked at a BMV office, I’d totally be extremely pleasant. Just because. In other news, The Dog(run) Diaries has been submitted to The PW Center to conclude the Core Apprentice nomination process. My fingers have been crossed so tightly, I’m surprised I’m typing so well. Send positive energy. Also, Tom Jacobson, a gem of a personage and co-artistic director at Ensemble Studio Theatre-LA, read the play and said some very, very nice things as well as passed it along to his co-artistic director to hear her thoughts. Since the Daughters of Trinity workshop at The Playwrights’ Center this past July, I haven’t been able to really fully adjust back to life here at school. When you get a taste of the cake you want to eat from for the rest of your life, how can you go back to vegetables, right? I’ve been nominated for the Core Apprentice program over at the Center and I really, really want the opportunity to develop The Dog(run) Diaries with them. They’re an amazing group of theatre artists, really offering something irreplaceable to young writers and I think the play is an interesting, imaginative story that can benefit from the experience. As children, mermaids taught us to breathe underwater, dragons gave us incendiary bravery and over sized beanstalks allowed us to have dreams. In our post-modern, media-distorted world, revisiting this sort of creativity can teach us more about ourselves then we perhaps recognize. The Playwrights’ Center will foster a new sort of imaginative exercise, perhaps the best one of all: crafting a deeply moving and engaging play that will leave impressions on audiences, reacquainting them with the imagination. TGIF, but honestly, this week has been a surprising week of generosity and good correspondence. As mentioned in an earlier blog, I sent out some e-mails to theatre companies that I think would make a good (eventual) home for The Dog(run) Diaries. Because I know the script is still in development, I was very open and honest about the fact that as a young writer, I’m looking for a director or company to help me develop the script so that, eventually, when the story is as clear as it can be and as compelling and interested as I know it can be, the play can find a nice home with a production. Good news is, I’ve gotten a few responses from the companies I’ve e-mailed; all of which are being angels and offering to read the script and offer their thoughts. Along with Diversionary, the following companies have proved to be class acts. It’s be brilliant working with any of these groups. home searching. a lot like apt searching but not. 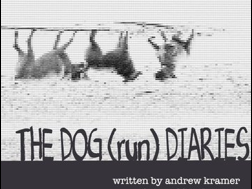 After another completed draft of The Dog(run) Diaries, I decided to shoot out a few e-mails to some theatre companies around that may have an interest in the work. There’s just something inside me and inside this story that is wanting to be told. It’s a piece I’m deeply personal about and I’d really love to find a director or company interested in helping me as a young writer develop the script, get it where it needs to be, and then allow it to live and breath. With the help of some experienced theatre artists, I think it could be a really dynamic, interesting play. That’s the frustrating thing about being a young playwright: you don’t know if you’re doing things “right”. If the story you’re telling is clear, if things are locking into place….any of that. It’s just you and your work until someone else gets involved and wants to help you out. And I’d really love someone to help me out with Dog(run). 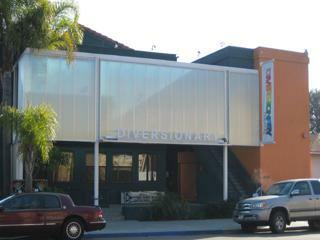 I got an e-mail response from the Diversionary Theatre in San Diego. They are a beautiful theatre company doing some necessary, compelling work that is really needed on the contemporary theatre scene. Artistic Director Dan Kirsch has graciously agreed to reading a copy of the script. Here’s to hoping something beautiful can emerge from this. I’d love to work with such a socially-minded, talented group of theatre artists.